Chemical peels are advanced clinical skin treatments that aid in reversing damaged skin due to factors such as aging, sun exposure, and acne. By sloughing off the dead skin cells with a chemical peel, a new, fresh, healthy glowing layer of skin is exposed making the skin appear younger and tighter. Our Licensed Aestheticians will select a peel that is right for your individual needs. Our top-selling peel! This innovative three-step procedure uses physical exfoliation (dermaplaning), a glycolic or lactic treatment, and cryogenic therapy. After just one treatment, patients experience noticeably smoother and softer skin and show subtle, yet noticeable differences. Recommended series of four to six treatments, every two weeks. Maintenance of one treatment every one to two months. This salicylic and glycolic acid treatment is a unique peel designed to reduce acne and help control breakouts to reveal a healthier, brighter complexion. This one-step, medical-grade procedure uses a high percentage of salicylic acid to target acneic skin where it counts. Recommended series of four to six treatments, every two weeks. Maintenance of one treatment every one to two months. This non-invasive peel is ideal for improving acne, hyper pigmentation, and melasma. It also improves fine lines and wrinkles. Noticeable results are visible after one peel with significant results apparent after 3-6 treatments. This is a deep action chemical peel that effectively treats sun damage, melasma, acne scarring, and fine wrinkles in as little as one application. It penetrates deep into the surface layers of the skin, and begins working almost instantly to deliver even, radical exfoliation and expose fresher, more beautiful skin. The Rejuvenize Peel is specially-formulated to provide the most dramatic results possible while maintaining minimal downtime and discomfort. Recommended every four to six weeks, as needed. This gentle and superficial peel is great for sensitive or rosacea-prone skin. This quick and easy “lunchtime peel” not only has exfoliating properties but has also been shown to help to control the symptoms of rosacea and skin that is prone to reddening. This antibacterial and antiviral skin peel helps to encourage vascular turnover and regeneration while, at the same time, helping to suppress the skin reddening potential.Recommended series of four to six treatments, every two weeks. 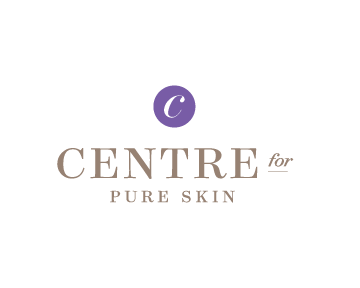 To learn more about our skin care products, including chemical peels, contact the Centre for Plastic Surgery in Grand Rapids by calling 800.968.7474 to schedule your appointment today!